For the rest of the country, shivering under their blankets or dodging the raindrops, March is the month when they look to end the misery of winter and may even come to visit to defrost - or dry out. 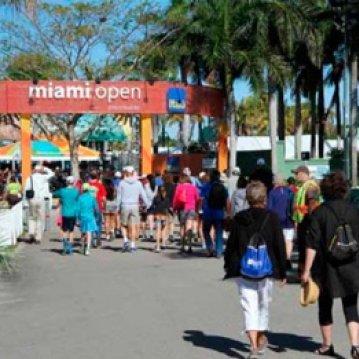 If so, March really is our playground month, and as has been documented many times before, is chock full of sporting events designed to entertain, thrill and amaze you. We’ll start with the PGA Tour, which for years has looked to the Florida swing as the real start of the competitive golf season. For a sneak preview, the Honda Classic kicks off in late February at PGA National in Palm Beach Gardens and will feature the best fields to date. However, the following week the party really gets started with the WGC-Cadillac Championships at Doral National with the debut of golf’s new “Big Three”, otherwise known as Rory McIlroy, Jason Day and Jordan Speith. It will also feature Americans Rickie Fowler (he of the orange colored clothing) and fan favorite, Phil Mickelson, who will try to win on American soil for the first time in over three years. Certainly there will be no shortage of storylines for that week. 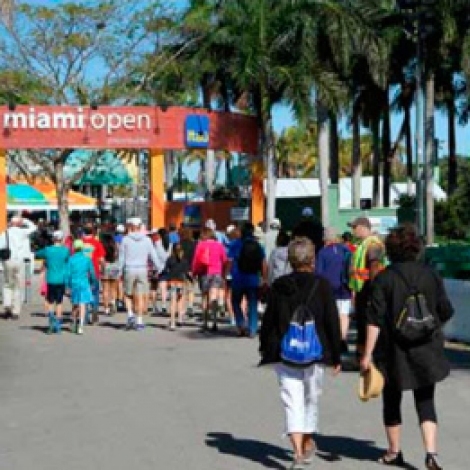 If tennis is your game, fear not, as the Miami Open (formerly known by about 20 previous names) takes center stage at the Tennis Center of Key Biscayne, and runs from March 21 st through early April. What’s neat about this get-together, apart from seeing the best players – both male and female – is that it’s one of the few tournaments which runs over the course of two weekends. Only the sport’s major events do this and it explains why the best players circle this challenge as a must - visit event. If your taste runs more toward the offbeat, keep in mind the world’s best three year old thoroughbred horses will run in a series of races here in South Florida, culminating with the Florida Derby at Gulfstream Park on April 2. And let’s not forget Major League Baseball, with spring training sites across the state, including a first class operation in Jupiter, and home to both the Marlins and the Cardinals who share Roger Dean Park. Toss in the dozens of local college, professional and amateur events taking place, and there’s something for every whim, from competitive rowing to equestrian events, to satisfy even the most eclectic sports fan. So, when your Northern friends visit, show them a good time and remember to be nice... they still have to go back to the cold.